Sneaking in some push-ups to this fast-paced chest and back workout. Kicking it off with a great leg set!! 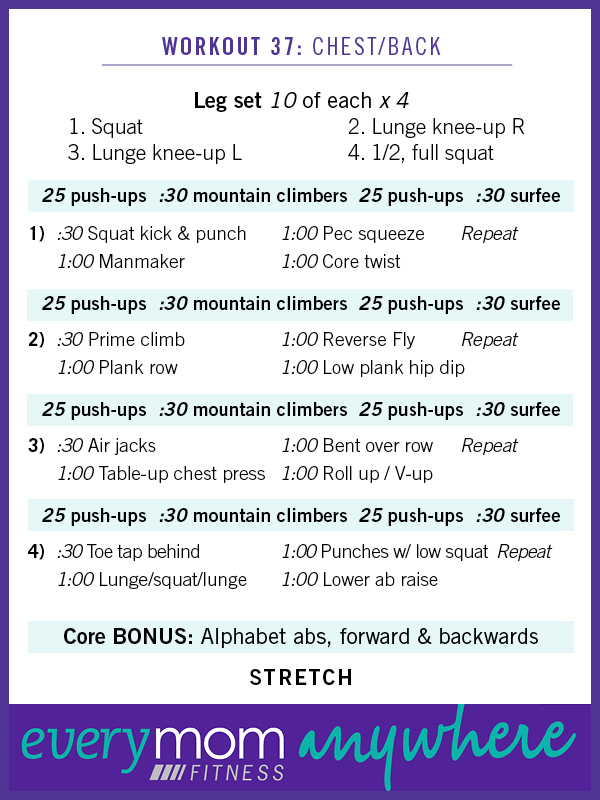 Tons of CORE all throughout this workout—enjoy! !